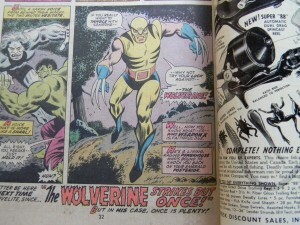 The Incredible Hulk #180 is significant because it’s the 1st appearance of Wolverine. 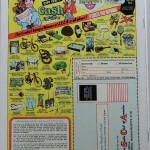 It’s a cameo on the last page of the issue (see photo below). 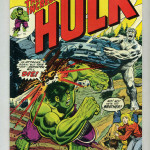 In The Incredible Hulk #181 is considered his first full appearance and Wolverine is featured on the cover. There is a Wendigo appearance in issue #180 as well. It’s not all that difficult to find this comic book for sale, as it was released in 1974 and by then comic book collectors were aware of the significance of this issue. If you are in the market to buy or sell an Incredible Hulk #180 comic book – it all comes down to the condition. Higher graded mint copies can sell for several hundred dollars. 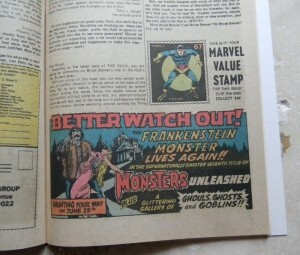 Copies that are missing the Marvel Value Stamp (see photo below) and/or are in poor condition have significantly less value because there are numerous mint copies available.